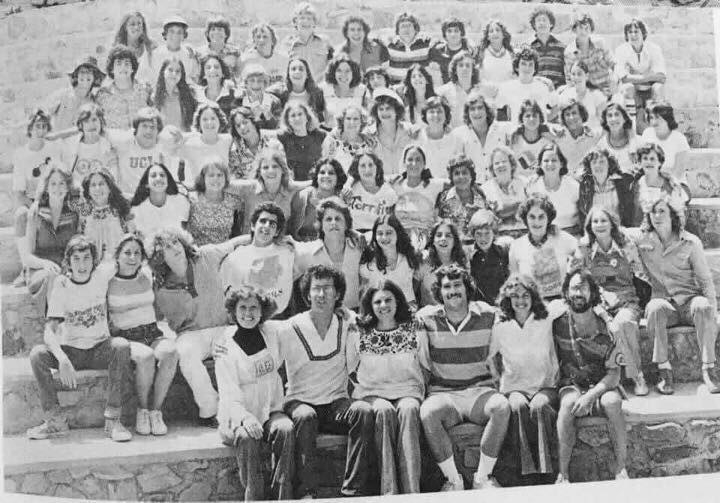 More than 40,000 youths have spent their summers at Camp Hess Kramer in Malibu. Now, only remnants remain. Charred remains of buildings at Camp Hess Kramer were left behind by the Woolsey fire. 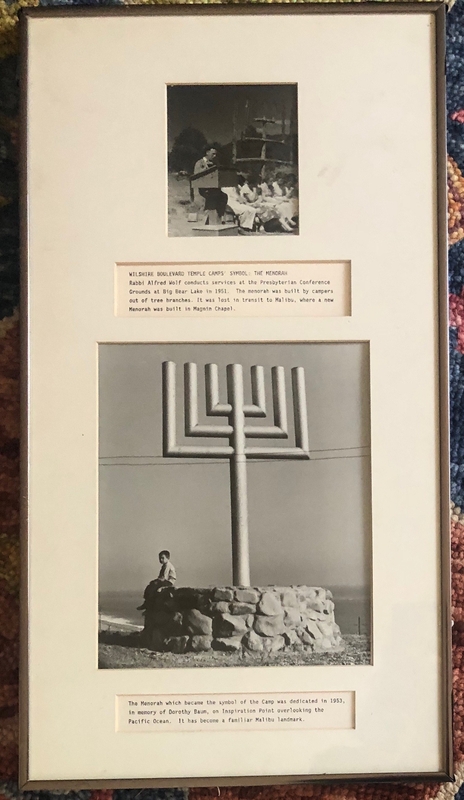 MALIBU — Bryna Nevison walked around the few remaining walls of the old Jewish camp, pulling off as many photos and artifacts as she could carry in case the fire came back. She still hadn't fully grasped that the Woolsey fire, which tore through Malibu and the surrounding region over the weekend, destroying hundreds of structures and nearly 97,000 acres, had nearly obliterated Camp Hess Kramer and its sister camp, Gindling Hilltop. Quickly scanning the blackened, crumpled buildings and the pile of wood that once held the chapel's ancient Torah scrolls, the 26-year-old went to the remaining rooms and took what she could carry. Young, smiling men in yarmulkes flashed by as she loaded the pictures into the car. 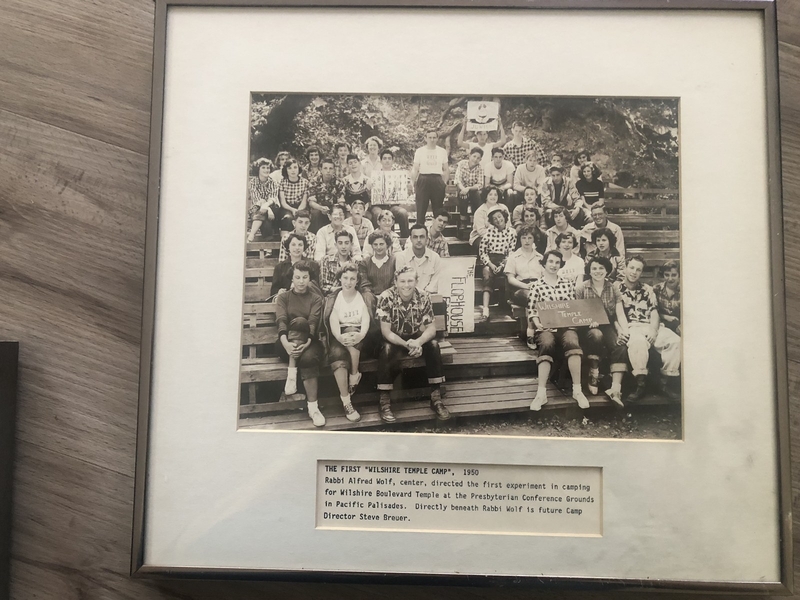 Most are from the 1950s, when Rabbi Alfred Wolf moved to Los Angeles to join the Wilshire Boulevard Temple and decided to create the first camping program for Jewish children west of the Mississippi. After escaping Nazi Germany, Wolf was driven to create safe, open spaces where Jewish young people, as well as kids and teens from Christian, Muslim, and other religions and backgrounds could gather, connect, and learn without judgment, said Donald Levy, the temple's communication's director. The Rabbi built Hess Kramer in 1952 inside a canyon on the outskirts of Malibu. He erected Hilltop above, overlooking the ocean, a few years later in 1968. Since then, more than 40,000 young people from across the US have spent their summers at the camp, eating chef John Bard's famous grilled cheese, belting out songs, scaling rock climbing walls, and dressing in white Friday to celebrate Shabbat near the Pacific Ocean. Wounded Warriors, several LGBT organizations, and the Los Angeles Unified School District also frequently use the spaces to host retreats. 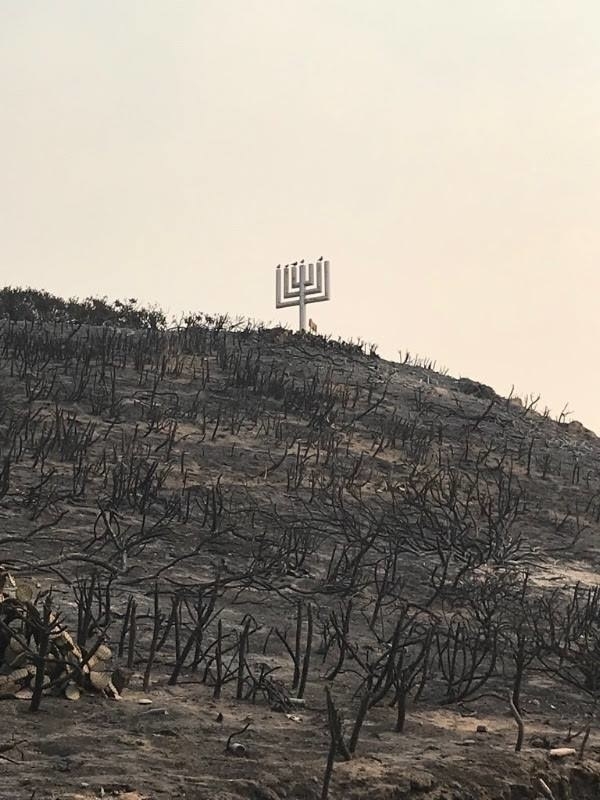 Along the winding Pacific Coast Highway, the glint of the large, silver menorah looming far off in the green hills has always been visible. And it was still there Monday, surrounded by a charred landscape. Among the memories and grief-tinged social media posts and phone calls were declarations of resilience and promises to rebuild. "We will be together this summer. There will be camp. Then, we will rebuild. Hess Kramer and Hilltop will endure," camp leaders wrote in a Facebook post on Sunday, reminding their community that they are no stranger to strife. The Woolsey fire destroyed 87 of its 97 structures, completely decimating Hilltop. Below, along a creek and tucked back into a sycamore-filled canyon, only the dining hall, two cabins, an office, and a wooden menorah are still standing. In the partially torched chapel, the wooden pews still face forward. "How symbolic is that?" Nevison said. Holding the pile of frames, Nevison, who plans events for the camps, talked about their history, about how they hosted the weddings of couples who met there as teens, programs for children affected by HIV/AIDS, low-income youth groups, and reunions for the very first campers, those who built the "buildings with their bare hands." In emails, phone calls, Facebook posts, tweets, and texts, people reminisced about the silly, sweaty dance sessions that erupted in the mornings and evenings while singing ancient prayers at the top of their lungs, of first kisses, best friends, racing to catch the shower's remaining hot water in the morning, and defining, on their own terms, what Judaism stands for. Every summer for 10 years, Mark Novick would fly from El Paso, Texas, and escape to "a world so very different from the one I was growing up." He was quiet and awkward, he said, but in that hot, eucalyptus-drenched canyon, "it was OK to be different." @bposton So sad..generations of Jewish families remember this camp with great fondness, including me and my son..
"It was OK to be me," he said. "Camp Hess Kramer shaped my childhood in ways that even now, 30 years later, I still feel on an almost daily basis. It taught me, most of all, the people you surround yourself with are the greatest treasure this world has to give you." Ruth Cohen couldn't wait to be just like her mom, who was a counselor in the 1950s. She remembers her first summer at Hess Kramer as a shy 9-year-old. When she was 15, she met a guy named Jack. He kissed her three years later on Hess Kramer's now-scorched amphitheater one August night under the stars and that was that. They married in 1991. Two kids and several moves later, she said her best friend turned husband saved her life. 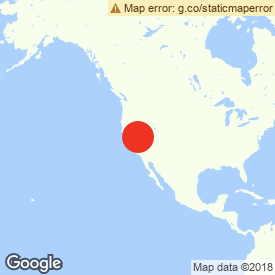 "I was battling an autoimmune disease of the liver for seven years and was really not doing well," the 52-year-old said from her home in Denver. "Jack turned out to be a perfect match and donated 60% of his liver to me and literally saved my life." Evan Cowitt can still taste the greasy crunch of fried fish at the famous seafood shack below Hess Kramer, where he and his camp leadership crew have gathered every year since 1982 before winding up the road to the amphitheater for their reunion. Shelter us beneath thy wing, oh Adonai. Guard us from all harmful things, oh Adonai. For Sasha Feldstein, camp really wasn't about being Jewish — it was about community, friendship, and creating safe, welcoming spaces. "More than religion, camp is about accepting each other for who they are and learning to live together in community and those are values no matter what religion or background you are," the 32-year-old said. She just married her partner of 12 years, Mikey Latner. They fell in love as college counselors at Hilltop. He transferred schools to be closer to her in New York, and nearly a dozen camp friends were at their wedding. But for Nevison, the loss from the Woosley fire really hit home — literally. She had been working and living on the campgrounds since June, but managed to evacuate with her favorite things: her dog, guitar, books, and some clothes. Everything else is gone. But she, like the scores of others who have shared their Hess Kramer memories, isn't worried. "I have moved so many different times all over the country and my favorite part about this camp is how many people still call it home," she said. "And as our rabbi said, home is bigger than buildings."